If you are a seasoned business traveler you have probably experienced the frustration of getting to and from the airport and from the airport to Hotels or business meetings using taxis, Uber, airport ground services or public transportation. If you happen to find yourself travelling to or from Chicago Illinois there is another, better option. It may surprise you to know that many limousine rates are actually cheaper than taxis! You can travel in comfort and style, arrive on time, impress your out of town business associates and make a smart financial choice by saving money. Pam’s Pretty Limousines is a locally owned and operated limousine service proudly serving Calumet City, Illinois and the surrounding communities in Northeast Illinois and Northwest Indiana since 2008. 1. A limousine is a much more comfortable and elegant ride than a taxi. For one thing, taxi’s are notorious for being filthy and you can’t rely on the taxi drivers to be honest when it comes to getting you from point A to point B in a city you are not familiar with. Uber drivers use their own cars so you never really know what you are going to get until you arrive to meet them. At Pam’s Pretty Limousines you are guaranteed a luxurious and pleasurable experience. With our stellar service you don’t have to settle for less, and both you and your visiting business clients will be dazzled. 2. If you need to keep working while you ride, then hiring a Pam’s Pretty Limousine is the perfect solution especially if you are looking for reliable Wi-Fi in a comfortable discrete setting. Taxi’s rarely have Wi-Fi access so you are essentially left to do all of your last minute projects and business meeting preparation or your cell phone. At Pam’s Pretty Limousines you will be sitting in a plush leather seat with plenty of space to spread out your work. Our drivers are always knowledgeable, professional, punctual and friendly. 3. If you are looking for reliable transportation for yourself or a large party to the airport, a limousine is an excellent choice and a far better option that choosing a taxi. With hiring a taxi especially if you need more than one, there is no guarantee that the taxi or taxi’s will arrive on time or be waiting when you are ready to leave. When you hire Pam’s Pretty Limousines, the limousine is yours for however long you need it. If you need a limousine for the day or just a couple of hours Pam’s Pretty Limousines gives you greater peace of mind. Contact Pam’s Pretty Limousines today and speak with a knowledgeable customer service representative, ask about our event planning and all-occasion service. Our Luxury vehicles arrive with professional, uniformed chauffeurs and are packed with amenities. You will travel in comfort and style and receive first-class service every time! There are many parts of a business trip that need to be thought about and not just the flight. After you know where you are going and when; you can start on the planning. More and more people are traveling for work and meetings. Travel tips on what you need to have prepared before you depart will be invaluable. All of these plans and trips can be what catapults you in your career and are investments in your progress in the company you work for. 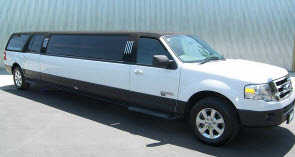 Pam’s Pretty Limousines has made a list of ways to make your trip and plans run more smoothly. Wi-Fi Flights: If you are booking a flight and they have an option to pay a fee for access to Wi-Fi, you should definitely take advantage of it. It can give you several hours of work on the flight so that you are not having to wait till you get to the hotel to get some items checked off your list. Contact: The best way to be sure that you know what to do if you run into a problem is to have a single person as your main contact. That person should have access to your itinerary and should be able to make changes for you if needed. This way you don’t need to remember who has car info, flight info and hotel info. It’s all in one convenient place. Power: Make sure that you have all the chargers that you are going to need on your trip. That can include laptop chargers, cell phone chargers and hot spot adapters. You also want to be sure that you have a good set of headphones that are noise cancelling to make your work in the airport easier to focus on. Driver: This is a great place to save time. 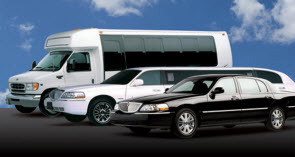 Hire a reliable limousine service to drive you from place to place. You can offer your itinerary to the company with times and locations so that they will be there and waiting during the entire trip. They can also be there to get you at the airport and help with any bags that have come with you. A good transportation company will be able to get you around without you having to stress about parking and finding locations that you need to head to. Pam’s Pretty Limousines offers these helpful tips to make your travels much easier. Contact us today to book luxury transportation for your next business trip or event. The 57th Annual Chicago Air and Water Show, presented by the City of Chicago and Shell will return on August 15th and 16th, 2015, with North Avenue Beach serving as the show center. This is one of the largest free admission events in the Country and the shows top billed headliners include the U.S. Navy Blue Angels, and the U.S. Army Parachute Team Golden Knights. The U.S. Navy Blue Angels have been mesmerizing audiences since 1946 with gravity defying and supersonic maneuvers flying their F/A-18 Hornets. The U.S Army Parachute Team Golden Knights and U.S Navy Leap Frogs will amaze viewers as they jump out of an aircraft 12,500 feet above the ground, racing towards North Avenue Beach at speeds in excess of 120 mph, ending with a perfect landing. This year is especially exciting with the introduction of the Breitling Jet Team who will perform in Chicago for the first time at this yearly event. The Breitling Jet Team consists of a seven plane team flying L-39 C Albatros jets that can reach speeds of up to 565mph. The French based team is widely recognized for the co-ordination and precision displayed throughout their high speed aerobatic performances. Other returning acts include AeroShell Aerobatic Team, Aerostars, Bill Stein Airshows, Chicago Fire Department Helicopter Air/Sea Rescue, Dave Dacy in the Super Stearman Model 70, Firebirds Delta Team, Matt Chapman Airshows, P-51 Mustang, Sean D. Tucker and Team Oracle, Team AeroDynamix (12-plane team), U.S. Coast Guard, U.S.A.F. F-16, U.S.N. F-18 to name a few. If you are excited about the event but concerned about travel to and from North Beach Avenue, Pam’s Pretty Limousines Service has the perfect solution. You might think hiring a limousine company is only for celebrities but you will be surprised at the benefits that you and your family will gain when you hire Pam’s Pretty Limousines Service to transport you to The 57th Annual Chicago Air and Water Show. At Pam’s Pretty Limousines Service, our skilled drivers are professionally trained to provide transportation so you can rest assured that you are your family will arrive safely. Our drivers are also experts with directions and know the exact routes to get you to your destination in a timely manner, avoiding traffic snarls and traffic jams. What better way to make a fashionable entrance to the Chicago Air and Water Show than by arriving in a limousine, and if you are planning an adult only event you can enjoy an alcoholic beverage without worrying about parking and designated drivers. There is no denying the benefits that Pam’s Pretty Limousines Service can provide you for traveling to the Annual Chicago Air and Water Show or any other special event that you may have in mind. Pam’s Pretty Limousines is a locally owned and operated limousine service proudly serving Lynwood, Illinois and the surrounding communities in Northeast Illinois and Northwest Indiana since 2008. We are fully licensed, insured and bonded. Contact Pam’s Pretty Limousines Service today and speak with a customer service representative about our limousine transportation services. 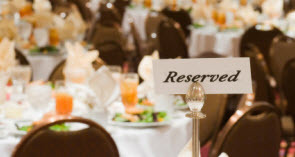 Our event planning service is ready and waiting to help you plan your special event. Make traveling to your special event, an event to remember!